Amazon users could soon have to spend twice as much to get free delivery on the service. When customers walk into a furniture store, the first thing they take in is the ambiance of the store. They are drawn further into the store by the lighting and layouts of all the furniture. How you set up your store invites customers to browse and leads them to purchasing new furniture. When someone purchases a new product they have certain expectations. Handeling those expectations is what makes your business sucessfull. We've all heard of under promise, over deliver. Well we love that motto, not just because it has our business term in it but because we like to delight those we serve. Knowing that furniture is one of the largest expenses a person will make helps remind us that this is important. Their white glove delivery should be excellent in every way. But what makes it excellent is often the things that the people receiving it don't think of. Their expectations are more about how it will look in their house and what utilitiy it wil have, not iif it will fit in the door and remain undammaged. Our delivery teams take great pleasure in making sure all the little details are taken care of so the customer can continue to focus on what's important to them. It's a typicall question to ask what benfits are there to outsourcing appliance delivery and installation. For starters you will lower your costs, provide a more efficient operation and be able to focus on what you do best: sell your merchandise. The key is to find the right partner to provide on-time, professional delivery and installation. Here are some things to consider when searching for the right company to partner with. The perfect way to complete a big ticket sale is with white glove home delivery service. And, the best way to do it is to partner with a third party logistics company who acts as an "in house" delivery department. The delivery function of your business could very well make or break a relationship with your customer, so getting it right the first time and every single time after is essential. 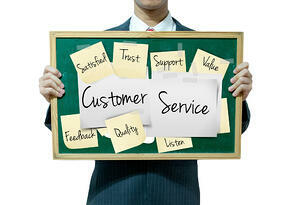 A great customer experience not only increases customer satisfaction it increases sales. Your customers want quality, reliability and trouble-free operation in the products they purchase. But the thing that will keep them coming back to your store is the level of service you provide.